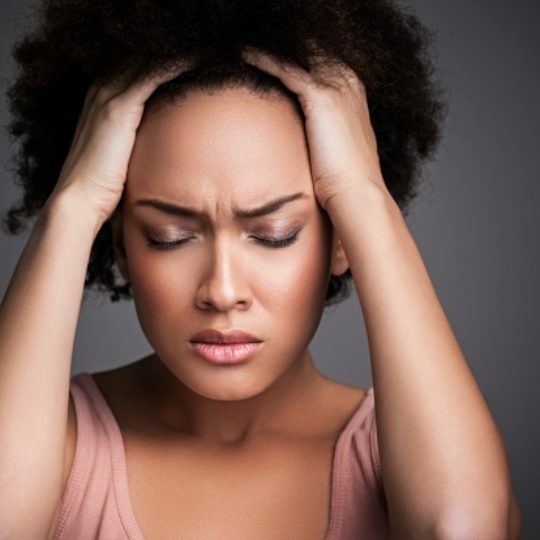 Not only can specific foods trigger a headache, but dietary habits can also play a role. Fasting, dehydration or skipping meals may cause headaches in some people. Blood flow to your brain increases when you drink alcohol. Some scientists blame the headache on impurities in alcohol or by-products produced as your body metabolizes alcohol. Sulfites used as a preservative may also cause headache. The higher the sulfite content, the greater the chance of developing migraine. Alcohol also causes dehydration, which may also cause migraine. Red wine, beer, whiskey, Scotch, and champagne are the most commonly identified headache triggers. This condition is caused by eating cold ice cream quickly or gulping ice drinks. It's more likely to occur if you are over-heated from exercise or hot temperatures. Pain, which is felt in the forehead, peaks 25 to 60 seconds and lasts from several seconds to one or two minutes. About one-third of people experience “head rushes" or "ice cream headache,"and more than 90 percent of migraine sufferers report sensitivity to ice cream. Monosodium glutamate (MSG) is a food additive/flavor enhancer that may trigger headaches. MSG is one of the active ingredients in soy sauce, meat tenderizer, Asian foods, and a variety of packaged foods. Be aware of labeling such as “hydrolyzed fat" or “hydrolyzied protein” or “all natural preservatives” since these are terms used synonymously with MSG.